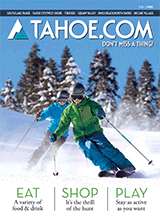 North Tahoe's Premier Ski And Snowboard Rental Delivery Service. At Black Tie, outstanding customer service is our top priority. Our professional team and specialized ski technicians are dedicated to providing the highest level of service to our guests and ensuring they have the best vacation experience possible! We want you to spent more time on the slopes and less time waiting in line. And if your are on the mountain and need to change equipment, we are always just a phone call away. Just give us a call and Black Tie will meet you at the most convenient location, whether it is at the base of the mountain or back at your accommodations, free of charge.